I am happy to see that there is concrete evidence that labor costs are not the only reason for the prevalence of overseas manufacturing. Before I took this class, I thought that the only real reason for overseas sourcing was cheap labor (I think that there are many students, FASH majors and non-FASH majors as well, who would think this to be true). I now understand that there are many other aspects that may affect the cost of production. It is interesting that a company can greatly reduce the costs required to produce an item just by choosing a similar fabric with a lighter weight or lower thread count. They can also plan their apparel orders in a better, more efficient way. I also did not know about the “pre-positioning” clothing model, which I think is an ingenious way to produce new designs for each season. I know that as we move forward in terms of our technology and innovation, there will be even more opportunities to shrink production costs. 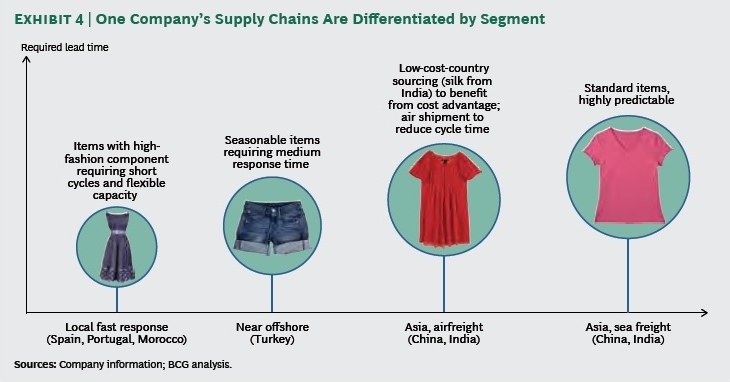 I think that the day will come sooner, rather than later, that the production of apparel will start to become less labor intensive and more efficient to produce. I do not think that this is bold thinking! I think that it is realistic thinking!